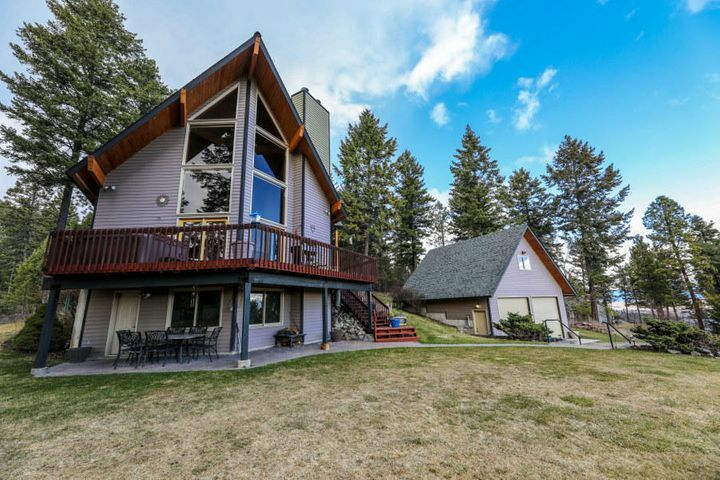 Perched on over 5 acres, this 4B/3Ba home boasts stunning views of Flathead Lake and mountains to the southeast. Great room concept on main level with generous windows to enjoy the view and a fully remodeled gourmet kitchen. Lower level includes plenty of storage and space for entertaining. Perfect home if you are looking for privacy and views. Remarks: Perched on over 5 acres, this 4B/3Ba home boasts stunning views of Flathead Lake and mountains to the southeast. Great room concept on main level with generous windows to enjoy the view and a fully remodeled gourmet kitchen. Lower level includes plenty of storage and space for entertaining. Perfect home if you are looking for privacy and views.